Samsung is internationally famous company that manufactures so many products all around the world. There are so many new exciting electronic equipments by Samsung that was very popular in the market and Samsung was able to stand and face the competitions of various industries but it is said that Samsung galaxy series was unbeatable and because of this, Samsung became even more famous. And today, its position has become almost similar to the best selling brands and now the new Samsung Galaxy S4 has beaten its own records and it is attracting more and more peoples with its extra ordinary features and looks. Its exiting features are being so famous now days and the sleek look of this phone makes it more impressive and many peoples are grabbing it. Samsung galaxy is already built-in excitement phone but it becomes more exciting with the help of Samsung Galaxy S4 Accessories because it allows you to take full advantage of all the features and as expected, it adds some more features to it. It is not about style or color of your Samsung Galaxy S4 phone, it is about wonderful features of it that will be enhanced with the help of accessories. 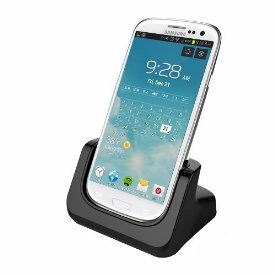 Here is the list of Top 5 Samsung Galaxy S4 Accessories which will help you to make your Samsung galaxy using experience more exiting and unique. If you are a power smartphone user then make sure you carry an extra batter for your Samsung Galaxy S4 phone. This is a genuine Samsung product and you can buy it from Mobilefun website for only $37.99. 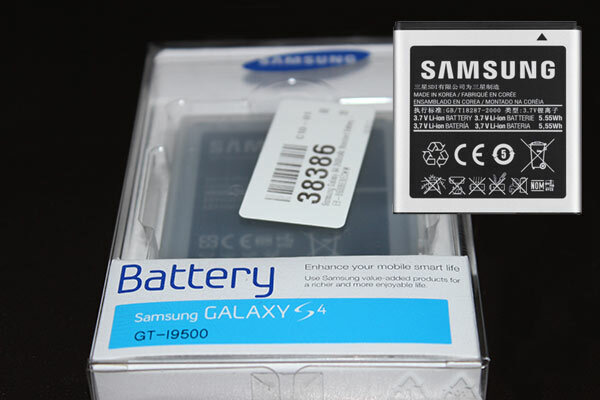 This is the official Samsung replacement battery for your Samsung Galaxy S4 will ensures that you have enough quality and reliable power. This product is Samsung EB-B600BEBECWW and it is the same battery that comes with your Galaxy S4 when you bought, so it has the same mAH capacity. 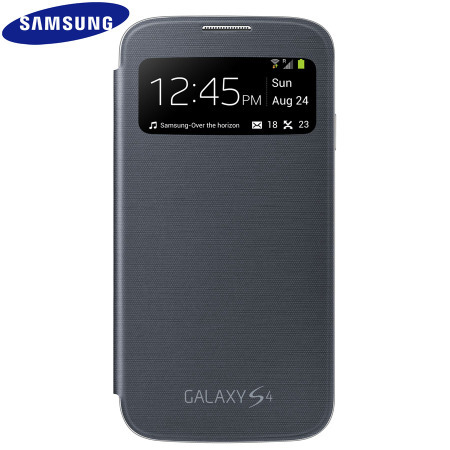 This is one of the best cover case you must have for your Galaxy S4. This is the official Samsung Galaxy S4 accessory. With S-View Premium Cover Case you can check the time or view and answers all your incoming calls, the official Samsung S-View Cover for the Samsung Galaxy S4 is slim and stylish. This is a best portable wireless speaker which is enough to fill your entire room with admiring sound. It has unbelievable quality that can not be expected from its size! 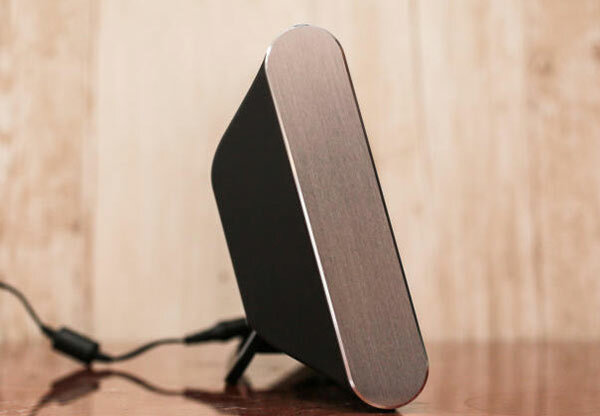 It streams your favorite music direct from Bluetooth. It supports NFC and you would need to download free NFC easy connect application to pair your Samsung galaxy s4 via Bluetooth. With the 2×10 power ratings, it allows you to get music playback of at least six hours without any break with the help of built-in automatic chargeable battery. It gives you a facility of recharging your Samsung galaxy s4 with the help of USB port and it could be used as a speaker phone as well. The cost of this wonderful accessory is $270. This is just a simple doc. This accessory allows you to slot Samsung galaxy S4 in to charge and it also has additional option of headphone and speaker attachment in it. With this, you will get included functions of power adapter and Micro USB cable for your phone. This is not all that this accessory offers; there is something more exciting here. You can sync and charge your computer or you can activate dock mode for more excitement. All these features are in just $25. Enjoy! Mobile seems to be incomplete without games and usually people don’t enjoy playing games on their phones with phone keys because sometimes keys becomes difficult in pressing and sometimes the mobile keys becomes difficult to handle. It might minimize some of the features of the game. So, if you want to experience real game playing on your mobile than Samsung galaxy has a unique accessory for it. The GameKlip is a game remote controller that was originally designed for Samsung galaxy s3 but it also supports brand new Samsung galaxy s4 and it works well with it! This is mind blowing accessory for gamers. 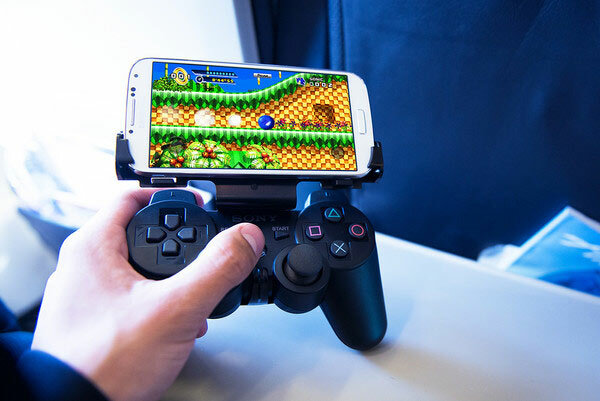 If you have PlayStation DualShock 3 controller then GameKip allows you to attach it with your Samsung galaxy s4 phone with the help of supplied cable. Sixaxis Controller application has been designed for the same purpose but it might not be compatible with whole series phone so you would need to check it out and if it works then enjoy! This application is available for you in just $20. The GameKip is best application that will give you advanced gaming experience under your budget. Top 5 Samsung Galaxy S4 Accessories are best popular accessories that are becoming more and more popular all over the world and this list includes all best choices that were the choice of the Samsung Galaxy S4 users. These accessories make your mobile complete and adds brand new exciting features and assist you in general use and in many other purposes. It is recommended to use accessories for your mobile because these accessories will help you to make your simple yet impressive mobile more presentable and with highly attractive features of Top 5 Samsung Galaxy S4 Accessories, you would be able to get best what you need. Where did Microsoft Surface Drop The Ball?